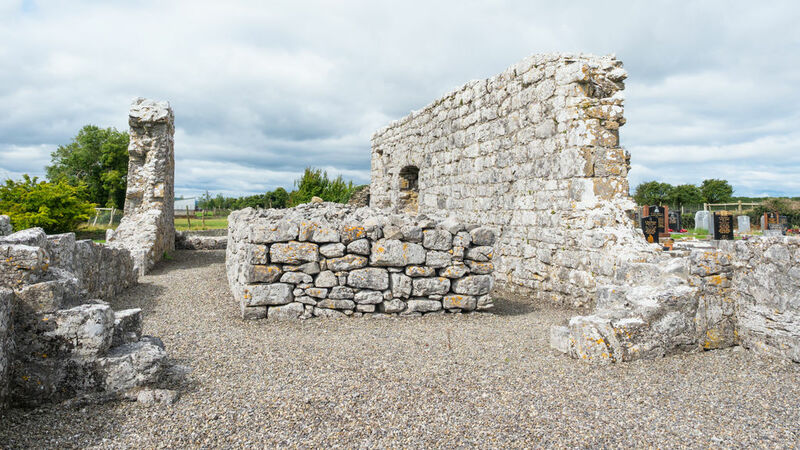 Saint Brendan founded a convent for his sister at Annaghdown. This 15C cathedral has some of the oldest (about 1200) elements of ornamental masonry such as a beautifully elaborate portico and finely decorated windows The middle church is the oldest on the site dating from the 11C or 12C. The nearby ruins were formerly a parish church and the ruined priory is a fine example of a fortified monastery.